Background: Dislocation of the hip is a well-described event that occurs in conjunction with high-energy trauma or postoperatively after total hip replacement. 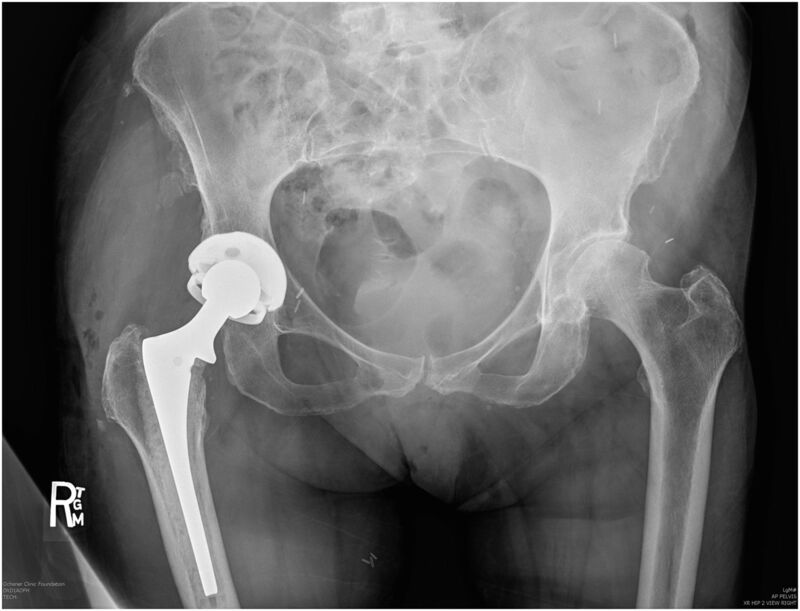 Methods: In this review, the types, causes, and treatment modalities of hip dislocation are discussed and illustrated, with particular emphasis on the assessment, treatment, and complications of dislocations following total hip replacement. Results: Hip dislocations are commonly classified according to the direction of dislocation of the femoral head, either anterior or posterior, and are treated with specific techniques for reduction. Generally, closed reduction is the initial treatment method, usually occurring in the emergency room. Bigelow first described closed treatment of a dislocated hip in 1870, and since then many reduction techniques have been proposed. Each method has unique advantages and disadvantages. Anterior hip dislocation is commonly reduced by inline traction and external rotation, with an assistant pushing on the femoral head or pulling the femur laterally to assist reduction. Posterior hip dislocations are the most common type and are reduced by placing longitudinal traction with internal rotation on the hip. Conclusion: Patients with hip dislocations must receive careful diagnostic workup, and the treating physician must be well versed in the different ways to treat the injury and possible complications. Timely evaluation and treatment, including recognizing the potential complications, are necessary to offer the best outcome for the patient. Figure 1. X-rays illustrate post total hip replacement dislocation (left) and native hip dislocation (right). Predisposing factors for hip dislocations continue to rise.2,10,13,14 A 2014 report by the National Highway Traffic Safety Administration noted more than 2.3 million motor vehicle–related injuries occurred among predominantly younger drivers, an increase of 1.1% since 2013.15 A summative 1982 study by Woo and Morrey found a dislocation rate of 3.2% in more than 10,000 primary total hip replacement procedures.16 Other studies have reported dislocation rates as high as 10% for primary procedures and up to 28% for revision.10,12,17,18 By 2030, the number of procedures is projected to increase 174% for primary hip replacements and 137% for revisions, suggesting that the number of patients who present with dislocations may also increase.13,17 The assessment, treatment, and complications of dislocations following total hip replacement are the primary emphasis of this review. Figure 2. X-ray shows the constrained liner in total hip replacement. Note the metal ring in the polyethylene holding the femoral head inside the acetabulum. Figure 3. (A) Dual-mobility implant components include a small central metal or ceramic head joined to a larger polyethylene head within an acetabular cup. (B) X-ray shows the dislocated and uncoupled polyethylene head in the patient's soft tissue. Black arrows demarcating the “bubble sign” indicate the polyethylene head. 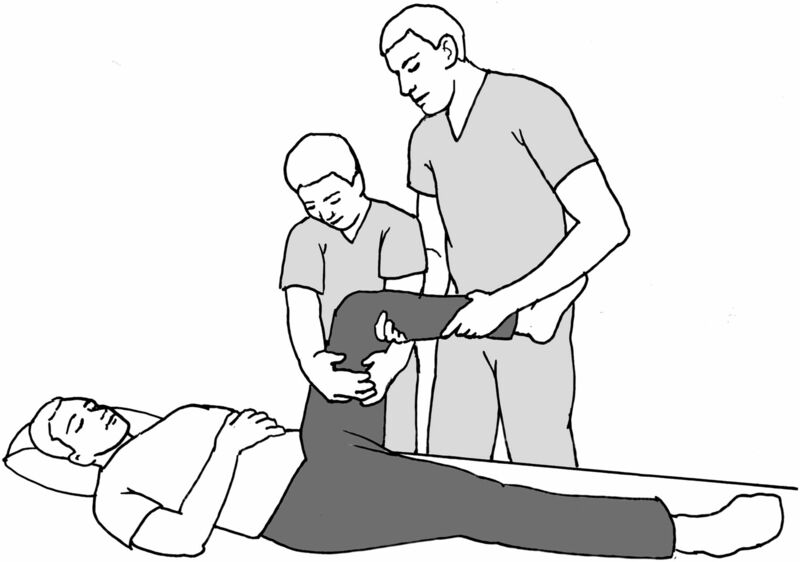 Bigelow first described closed treatment of a dislocated hip in 1870, and many reduction techniques have been proposed since then.7 Because closed reduction techniques require placing the patient in different positions (eg, prone, supine, lateral decubitus), the choice of technique should minimize further injury at the time of presentation. Although mastery of each technique is not mandatory, becoming proficient in a few techniques will aide in the flexibility of treatment when one approach fails to work.2,7 Posterior and anterior methods of reduction are described and illustrated below. The authors prefer to use the Waddell technique for closed reduction of posterior dislocations. 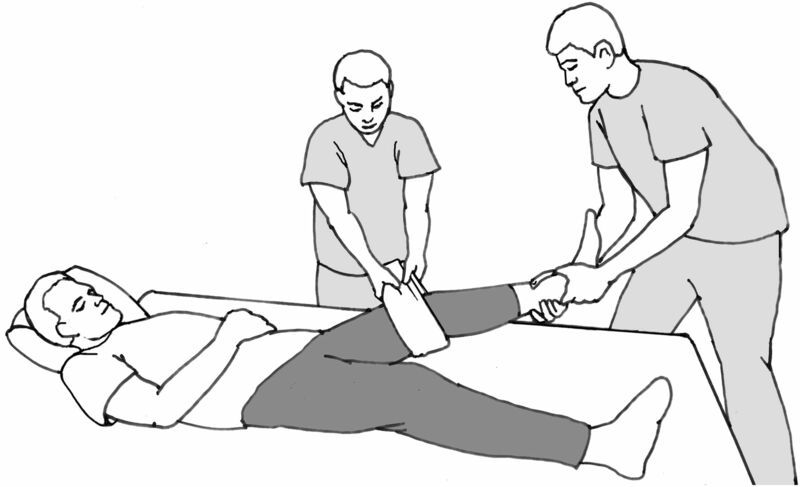 This technique reduces the stress on the treating physician's back by following Occupational Safety and Health Administration principles of keeping the heavy load close to the body and using the feet as a lever to apply inline traction to the patient's leg and hip. Furthermore, this technique allows the treating physician to stay low and maintain stability while on the stretcher with the patient. With increasing rates of high-energy trauma and numbers of total hip replacements performed, the number of native and postreplacement hip dislocations will likely increase. Health providers must be familiar with best practices to diagnose and treat these patients. Patients with native and postoperative total hip replacement dislocations must receive careful diagnostic workup, and the treating physician must be well versed in the different ways to treat the injury and possible complications. Timely evaluation and treatment, including recognizing the potential complications, are necessary to offer the best outcome for the patient. Figures 4 through 18 were previously published in Waddell BS, Mohamed S, Glomset JT, Meyer MS, “A Detailed Review of Hip Reduction Maneuvers: A Focus on Physician Safety and Introduction of the Waddell Technique,”7 an open access article distributed under the terms of the Creative Commons Attribution Non-Commercial License that permits unrestricted noncommercial use, distribution, and reproduction in any medium, provided the original work is properly cited. Dr Bradford Waddell is now affiliated with Hospital for Special Surgery, New York, NY. Dr Neil Duplantier is now affiliated with the Bone & Joint Clinic, Gretna, LA. A vessel-preserving surgical hip dislocation through a modified posterior approach: assessment of femoral head vascularity using gadolinium-enhanced MRI. J Bone Joint Surg Am. 2016 Mar;98(6):475-483. doi: 10.2106/JBJS.15.00367.
. Hip dislocations—epidemiology, treatment, and outcomes. Injury. 2010 Apr;41(4):329-334. doi: 10.1016/j.injury.2009.08.007.
. Treatment of hip dislocations and associated injuries: current state of care. Orthop Clin North Am. 2016 Jul;47(3):527-549. doi: 10.1016/j.ocl.2016.02.002.
. Traumatic hip dislocation—a review. Bull NYU Hosp Jt Dis. 2010;68(2):91-96.
. The occasional posterior hip dislocation reduction. Can J Rural Med. 2015 Spring;20(2):65-70.
. Congenital dislocation of the hip. West J Med. 1976 Jan;124(1):18-28.
. A detailed review of hip reduction maneuvers: a focus on physician safety and introduction of the Waddell technique. Orthop Rev (Pavia). 2016 Mar 21;8(1):6253. doi: 10.4081/or.2016.6253.
. The unstable total hip replacement. Indian J Orthop. 2008 Jul;42(3):252-259. doi: 10.4103/0019-5413.39667.
. Dislocation after total hip arthroplasty. Curr Rev Musculoskelet Med. 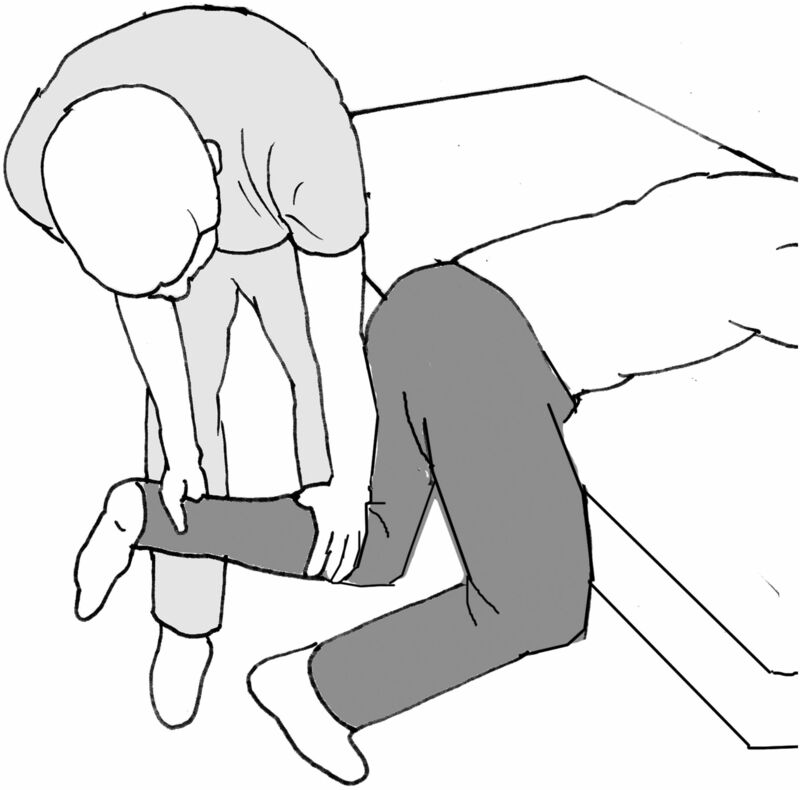 2013 Dec;6(4):350-356. doi: 10.1007/s12178-013-9187-6.
. A simple technique for reducing posterior hip dislocation: the foot-fulcrum manoeuvre. Injury. 2010 Jun;41(6):665-667. doi: 10.1016/j.injury.2010.01.008.
. Is the mechanism of traumatic posterior dislocation of the hip a brake pedal injury rather than a dashboard injury? Injury. 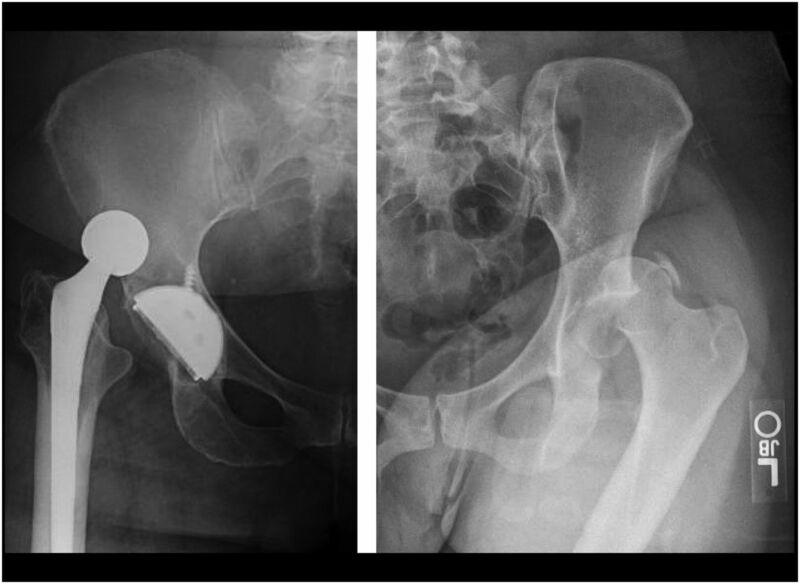 2001 Apr;32(3):221-222. doi: 10.1016/S0020-1383(00)00183-2.
. Dislocation following total hip replacement. Dtsch Arztebl Int. 2014 Dec 22;111(51-52):884-890. doi: 10.3238/arztebl.2014.0884. Prevalence of total hip and knee replacement in the United States. J Bone Joint Surg Am. 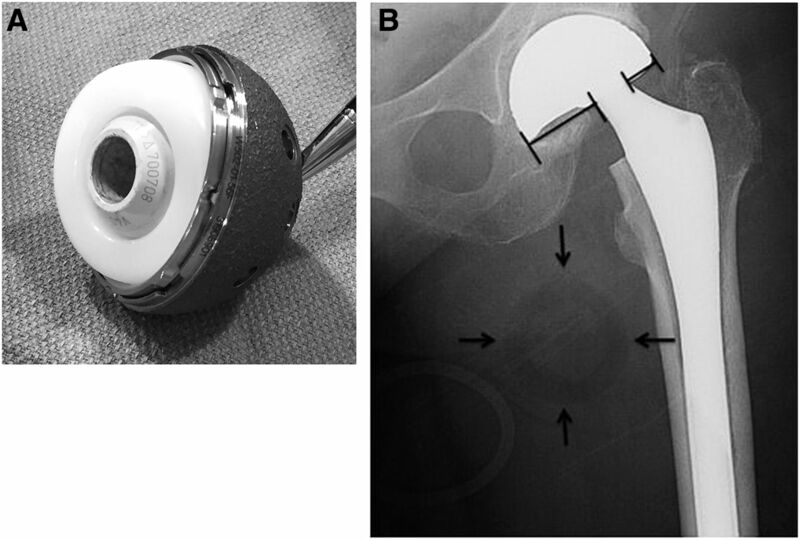 2015 Sep 2;97(17):1386-1397. doi: 10.2106/JBJS.N.01141.
. Dual mobility cups in total hip arthroplasty. World J Orthop. 2014 Jul 18;5(3):180-187. doi: 10.5312/wjo.v5.i3.180. U.S. Department of Transportation National Highway Traffic Safety Administration. Traffic safety facts: research note. 2014 motor vehicle crashes: overview. https://crashstats.nhtsa.dot.gov/Api/Public/ViewPublication/812246. Published March 2016. Accessed July 6, 2018.
. Dislocations after total hip arthroplasty. J Bone Joint Surg Am. 1982 Dec;64(9):1295-1306.
. Projections of primary and revision hip and knee arthroplasty in the United States from 2005 to 2030. J Bone Joint Surg Am. 2007 Apr;89(4):780-785. doi: 10.2106/JBJS.F.00222.
. Risk factors for dislocation after revision total hip arthroplasty. Clin Orthop Relat Res. 2013 Feb;471(2):410-416. doi: 10.1007/s11999-012-2561-7.
. Complications after posterior dislocation of the hip. Int Orthop. 2006 Aug;30(4):224-227. doi: 10.1007/s00264-005-0056-9.
. Isolated traumatic dislocation of the hip. Long-term results in 50 patients. J Bone Joint Surg Br. 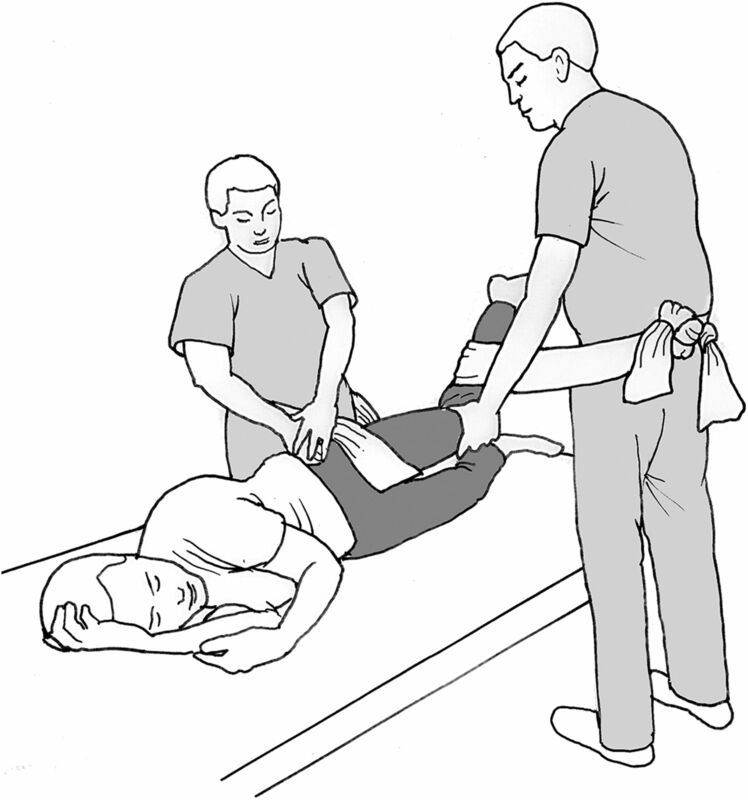 1994 Jan;76(1):6-12.
. Whistler technique used to reduce traumatic dislocation of the hip in the emergency department setting. J Emerg Med. 1999 May-Jun;17(3):441-444. doi: 10.1016/S0736-4679(99)00003-7.
. Knee injury in patients experiencing a high-energy traumatic ipsilateral hip dislocation. J Bone Joint Surg Am. 2005 Jun;87(6):1200-1204. doi: 10.2106/JBJS.D.02306.
. Traumatic anterior dislocation of the hip. Arch Orthop Trauma Surg. 1989;108(1):55-57. doi: 10.1007/BF00934160.
. Intrapelvic dislocation of the femoral head following anterior dislocation of the hip. A case report. J Bone Joint Surg Am. 1972 Jul;54(5):1097-1098.
. Obturator dislocation of the hip. J Bone Joint Surg Br. 2001 Jan;83(1):113-115. doi: 10.1302/0301-620X.83B1.10289.
. Sciatic nerve injuries associated with traumatic posterior hip dislocations. Am J Emerg Med. 2003 Nov;21(7):545-548. doi: 10.1016/j.ajem.2003.08.014.
. Gas bubbles in the hip joint on CT: an indication of recent dislocation. Am J Roentgenol. 1995 Apr;164(4):931-934. doi: 10.2214/ajr.164.4.7726051.
. MRI as a reliable and accurate method for assessment of posterior hip dislocation in children and adolescents without the risk of radiation exposure. Pediatr Radiol. 2015 Aug;45(9):1355-1362. doi: 10.1007/s00247-015-3317-9.
. Instability after total hip arthroplasty. World J Orthop. 2012 Aug 18;3(8):122-130. doi: 10.5312/wjo.v3.i8.122.
. Effect of femoral head diameter and operative approach on risk of dislocation after primary total hip arthroplasty. J Bone Joint Surg Am. 2005 Nov;87(11):2456-2463. doi: 10.2106/JBJS.D.02860.
. Decreased dislocation after revision total hip arthroplasty using larger femoral head size and posterior capsular repair. J Arthroplasty. 2009 Sep;24(6 Suppl):73-76. doi: 10.1016/j.arth.2009.04.026. ; Large Articulation Study Group. Large femoral heads decrease the incidence of dislocation after total hip arthroplasty: a randomized controlled trial. J Bone Joint Surg Am. 2012 Jun 20;94(12):1095-1102. doi: 10.2106/JBJS.K.00570.
. Successful closed reduction of a dislocated constrained total hip arthroplasty: a case report and literature review. Open Orthop J. 2012;6:211-214. doi: 10.2174/1874325001206010211.
. Closed reduction of constrained total hip arthroplasty in the ED. J Emerg Med. 2011 Feb;40(2):162-166. doi: 10.1016/j.jemermed.2007.10.069.
. Total hip arthroplasty dislocations are more complex than they appear: a case report of intraprosthetic dislocation of an anatomic dual-mobility implant after closed reduction. Ochsner J. 2016 Summer;16(2):185-190.
. Early intraprosthetic dislocation in dual-mobility implants: a systematic review. Arthroplast Today. 2017 Feb 5;3(3):197-202. doi: 10.1016/j.artd.2016.12.002. Late anterior dislocation due to posterior pelvic tilt in total hip arthroplasty. Open Orthop J. 2016 Jun 22;10:206-212. doi: 10.2174/1874325001610010206.
. Late posterior hip instability after lumbar spinopelvic fusion. Arthroplast Today. 2015 Jun 19;1(2):25-29. doi: 10.1016/j.artd.2015.05.002.
. Reduction of dislocated hip prosthesis in the emergency department using conscious sedation: a prospective study. Emerg Med J. 2005 Nov;22(11):807-809. doi: 10.1136/emj.2003.011809.
. The Hip. Philadelphia, PA: Dorman Printer; 1895:14-26.
. On dislocation of the hip. Lancet. 1878 Jun;111(2859):860-862. doi: 10.1016/S0140-6736(02)43952-9.
. A new method for reduction of hip dislocations. Orthop Rev. 1993 Feb;22(2):253-256.
. The Captain Morgan technique for the reduction of the dislocated hip. Ann Emerg Med. 2011 Dec;58(6):536-540. doi: 10.1016/j.annemergmed.2011.07.010.
. 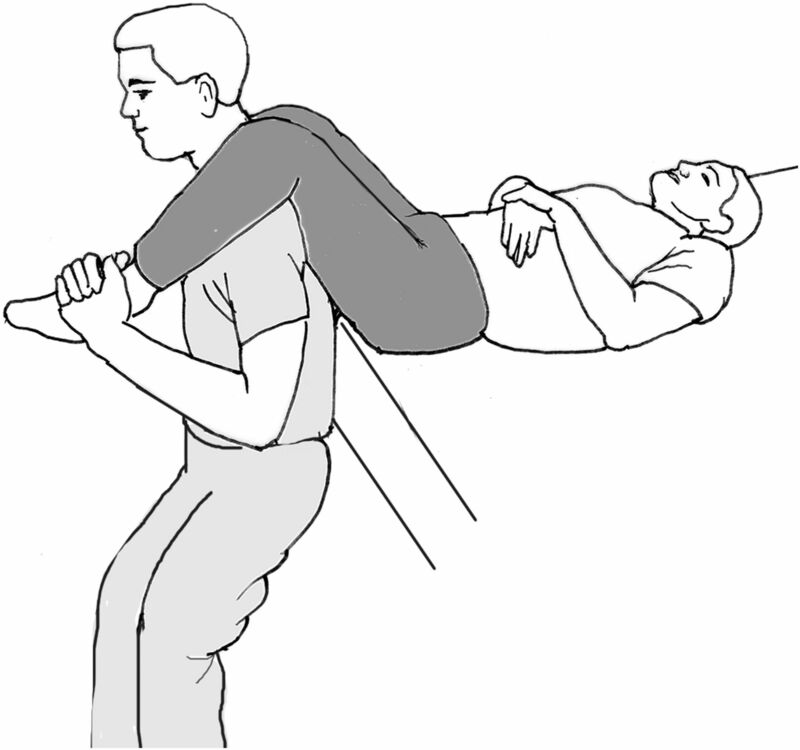 The East Baltimore Lift: a simple and effective method for reduction of posterior hip dislocations. J Orthop Trauma. 1999 Jan;13(1):56-57. doi: 10.1097/00005131-199901000-00013.
. A gentle method of reducing traumatic dislocation of the hip. Injury. 1992;23(7):481-482. doi: 10.1016/0020-1383(92)90069-5.
. 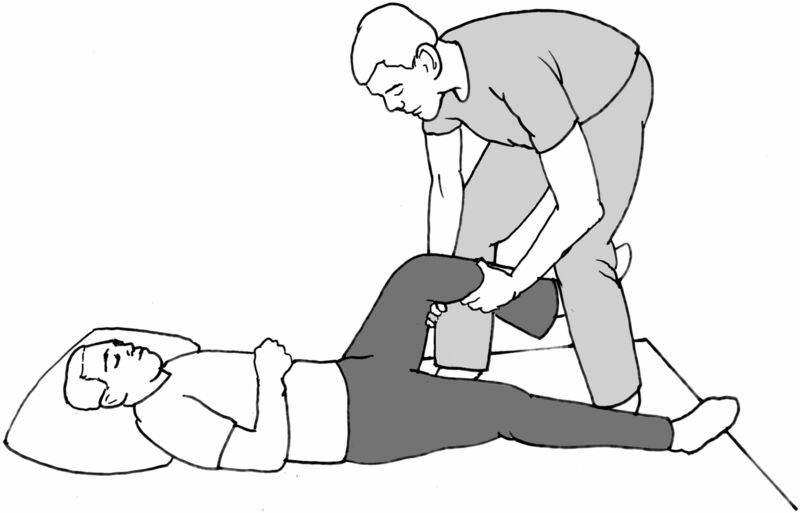 Maneuvers for reducing dislocated hips. A new technique and a literature review. Clin Orthop Relat Res. 1999 Mar;(360):260-264.
. Piggy back technique for relocation of posterior dislocation of the hip. Injury. 1994 Sep;25(7):483-484.
. Closed reduction for total hip arthroplasty dislocation. The Tulsa technique. J Arthroplasty. 1995 Oct;10(5):693-694.
. Closed reduction of posterior hip dislocation: the Rochester method. Am J Orthop (Belle Mead NJ). 1999 Jan;28(1):64-65.
. Posterior hip dislocation, a new technique for reduction. Orthop Rev. 1986 Jun;15(6):405-409.
. A Practical Treatise on Fractures and Dislocations. New York, NY and Philadelphia, PA: Lea Brothers & Co.;1905. Retrieved from the Library of Congress. https://archive.org/details/practicaltreat00stim. Accessed July 17, 2018.
. Reduction of posterior hip dislocations in the lateral position using traction-countertraction: safer for the surgeon? J Orthop Trauma. 1999 Jun-Jul;13(5):373-374. doi: 10.1097/00005131-199906000-00010.
. A flexion adduction method for the reduction of posterior dislocation of the hip. J Bone Joint Surg Br. 1992 Jan;74(1):157-158.
. Traumatic anterior dislocation of the hip joint with posterior acetabular wall fracture. Acta Orthop Belg. 2005 Feb;71(1):111-114.
. Incongruent reduction following post-traumatic hip dislocations as an indicator of intra-articular loose bodies: a prospective study of 117 dislocations. Indian J Orthop. 2011 Jan;45(1):33-38. doi: 10.4103/0019-5413.73650.
. Hip dislocation: current treatment regimens. J Am Acad Orthop Surg. 1997 Jan;5(1):27-36.
. Systematic review and meta-analysis of avascular necrosis and posttraumatic arthritis after traumatic hip dislocation. J Orthop Trauma. 2016 Jan;30(1):10-16. doi: 10.1097/BOT.0000000000000419.
. Dislocation, Hip (Femur), Posterior. StatPearls [Internet]. Treasure Island (FL): StatPearls Publishing; 2018 Jan. https://www.ncbi.nlm.nih.gov/books/NBK459319/. Updated October 21, 2017. Accessed July 17, 2018.
. Traumatic dislocation and fracture-dislocation of the hip: a long-term follow-up study. J Trauma. 2003 Mar;54(3):520-529. doi: 10.1097/01.TA.0000020394.32496.52.
. A review of the treatment of hip dislocations associated with acetabular fractures. Clin Orthop Relat Res. 2000 Aug;(377):32-43.
. Severity of injuries associated with traumatic hip dislocation as a result of motor vehicle collisions. J Trauma. 1999 Jul;47(1):60-63.
. Anatomy of the hip capsule and pericapsular structures: a cadaveric study. Clin Anat. 2015 Jul;28(5):665-671. doi: 10.1002/ca.22539.